Because the human body is (scientifically) a big, wet meat sack, murder is typically an ugly, messy thing, ill-suited for coverage on a gif-heavy video blog. 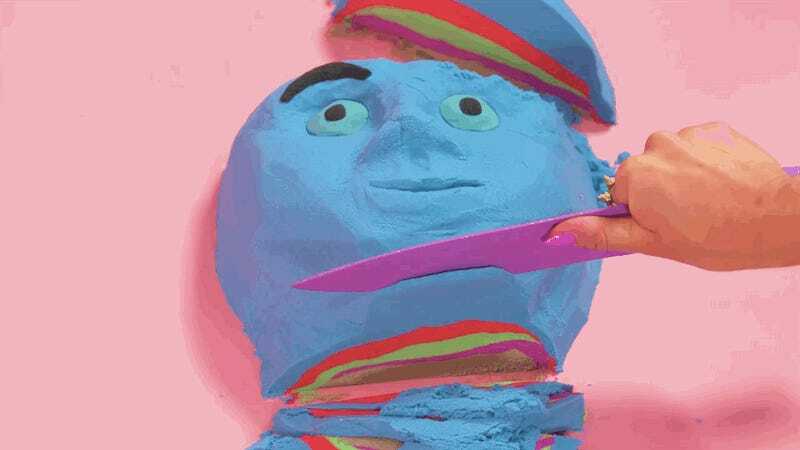 Luckily, the good folks at Super Deluxe managed to correct this design flaw by making their own dirt man out of colored sand—and then hacking him into a million goddamn pieces. The result of their experiment is a video that isn’t just extremely watchable, but also alarmingly therapeutic. You can check it out below, just make sure you don’t get too into it.